Have you ever felt like you wanted to help people? That you wanted to make a real difference to your community and do something extremely worthwhile? If these are the sorts of questions you answer yes to, then have you ever considered a nursing job? Nursing is one of those professions which have its roots buried deep in history. Indeed there have always been people who looked after and cared for the sick or injured. In some cultures this would be a ‘medicine man’, in other cultures there were figures such as herbalists and the like. However, nursing only really became recognized as a formal profession relatively recently when Florence Nightingale founded what we now consider as the modern concept of nursing. Of course, some people may instinctively tell themselves that they could never work in a nursing job because they are too squeamish, or because they wouldn’t be able to cope with the stresses of trying to cope with patients with life threatening diseases or injuries. Of course that may be the case, but this is only one side of nursing. There are many, many other aspects to the job which many people do not realize exist, for instance health or industrial nursing, public health nursing and private duty nursing. 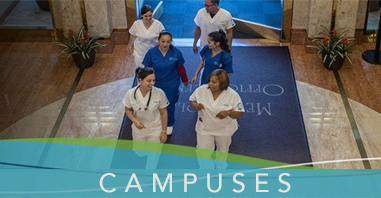 In fact, the nursing domain extends even further than that – one such possible career path is in the nursing instructor field. Of course, before anyone can become a fully qualified nurse they must first go through the necessary training, education and study of both the theoretical and practical aspects of nursing. This in turn means that of course, there needs to be someone there to act as an instructor and tutor to the student nurses. 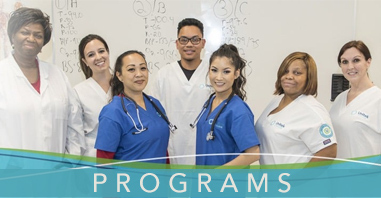 By working as a nursing instructor not only will you be able to directly help to train and educate a new generation of nurses, but you will also be indirectly helping your community by ensuring that the hospitals in your area have the most highly skilled nursing staff. Most of your duties will revolve around the student nurses, for example, you will spend most of your working time demonstrating and teaching patient care in the classroom, as well as supervising the student nurses when delivering patient care in clinical units of the hospital. A nursing instructor is also responsible for conducting and supervising laboratory work and issuing assignments. This is a very rewarding career path, and is essentially what used to be referred to as a ‘job for life’. Let’s just think about that, there will always be a need for individuals who are trained as caregivers, and therefore there will always be a need to the nursing instructors who offer help and guidance through that training. So as you can see, a career as a nursing instructor really is one of the most satisfying and worthwhile nursing jobs in the health care industry today.